Our goal at the Morgridge Center for Public Service is to support any graduate student who wants to engage in community-based learning, teaching or research. We’ll connect you with the community and provide you with classes and resources to help your community-engaged scholarship flourish. The Association of Graduate Engaged Scholars (AGES) is a student organization that supports the community-engaged research and teaching efforts of UW-Madison graduate students from any department. The graduate certificate/doctoral minor in Community-Engaged Scholarship (CES), hosted by Civil Society and Community Studies with support from the Morgridge Center for Public Service, is a 9-12 credit program to train graduate students in CES, defined as teaching or research done in collaboration with community organizations or community partners in equitable, mutually beneficial, respectful relationships. Each fall, our staff offers a non-credit or 2-credit graduate level course called “Principles and Practices of Community-Engaged Scholarship.” This course is required for the doctoral minor/graduate certificate in Community-Engaged Scholarship. 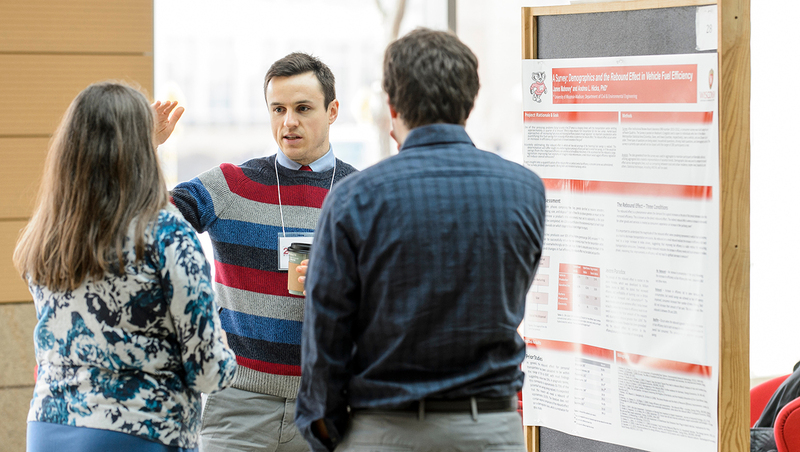 Discover Community-based Research opportunities across the UW-Madison campus. Find new partners, research and community opportunities. Find awards, funding and professional development opportunities for graduate students engaged in community-based learning and research.